Halfway through beating Ocarina of Time 3D, I had a pretty neat thought: I decided that in honor of Zelda's 25th anniversary, it would be fun to play through every core Zelda game, including the upcoming Skyward Sword, and beat all of them before the year's end. Here we are a mere day before the release of Skyward Sword, and my journey nears its final leg. Now is the perfect time to look back on the whole series. The Legend of Zelda series has had a profound impact on me ever since I layed my eyes on Zelda 1's beautiful gold NES cartridge. In fact, other than Mega Man, Devil May Cry, and Resident Evil, Zelda is probably my favorite game series. I distinctly remember being at my old friend Billy Warwick's house, fishing through his NES collection (in those spiffy long rectangular official Nintendo cases) and marveling at the coolest cartridge I had ever seen. I asked Billy what the golden game was, and he had no idea - well, we weren't sure what to expect from a game called "Zelda," but when we popped it in, we really had no idea what was in store for us. Zelda was open world bliss. As one of my friends put it, when the series debuted for the first time, it was like the "HDTV" of gaming - it completely blew everyone away. I mean, the first title was basically an amalgamation of both Gauntlet and Dragon Warrior, but it did it in such a way that pretty much no one could have predicted. Zelda just gave you this giant, sprawling open world, and said "have at it" in an action based setting - how can you get much better than that?! 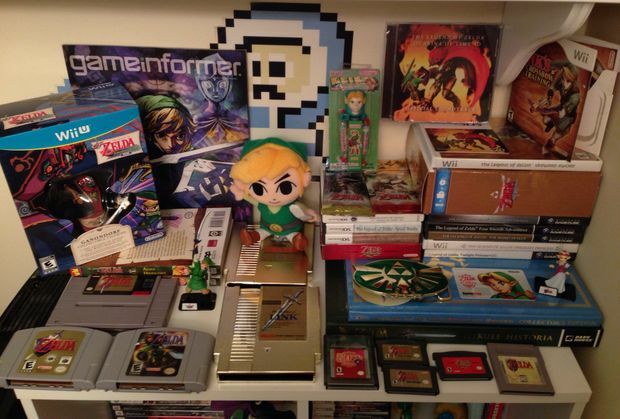 Shortly afterwards, I picked up The Adventure of Link, and the rest was history: I was addicted. So without further ado, here are the Zelda games that I've either beaten so far in 2011, or need to conquer! As previously mentioned, Zelda was one of my first games and easily one of the best gaming experiences I've ever had. Although we did beat it with the help of my friend's father, I came back in 2011 and recently tackled it myself. It was...difficult, to say the least! There are so many hidden bomb rooms that don't have telltale cracks, and tons of absolutely insane secret areas, that it would take a guide to complete everything. Either way, the first game laid the groundwork for future Zelda titles, and helped pave the way for Action RPGs all around. I'm currently playing through The Adventure of Link right now, and I have to say, it's easily the most underrated Zelda game of all time. There's a very robust magic system, an XP system (for the first and last time), and every single action scene takes place in a sidescrolling fashion, as opposed to the popular birds-eye view of the first game - how's that for innovation! Zelda II is also notoriously hard, but not nearly as hard as the first game in my opinion - I mean, at least there's some clear idea of where to go. While I wouldn't necessarily recommend dropping the $5 on the first Zelda, depending on your tastes, I heartily recommend picking this one up on the Virtual Console - it's one of my favorite Zelda games that I both enjoyed at release, and years afterward. 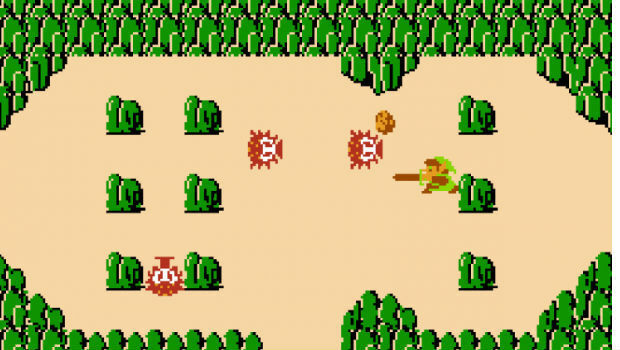 Ah, Link to the Past, how many times have I bested you? Funnily enough, this SNES cartridge was passed down to me by my cousin, who threw it into the wall in a fit of anger. I picked it up, taped the crack in the cartridge up, and asked if I could have it - thankfully, he said "yes", and I was on my way to beating Link to the Past for the first time! I'll just come right out and say it: if you haven't played LTTP yet, do it. Now. The game is an absolute classic, and the art style still holds up to this day. One of the best things about the game is the lack of pageantry in the beginning. 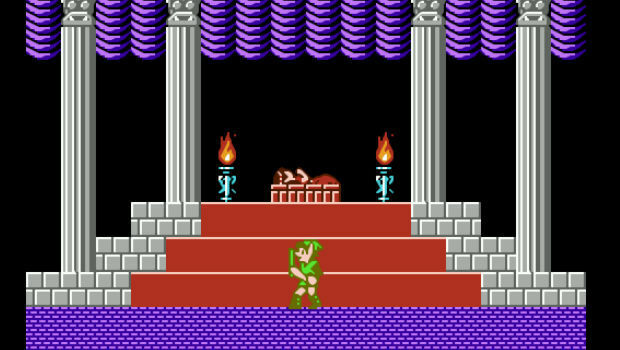 There's no lengthy boring cutscene like future Zelda games - you just press start, jump in, and your epic quest to rescue Zelda immediately begins. Out of all the Zelda games, I'd say Link to the Past is probably the most polished. 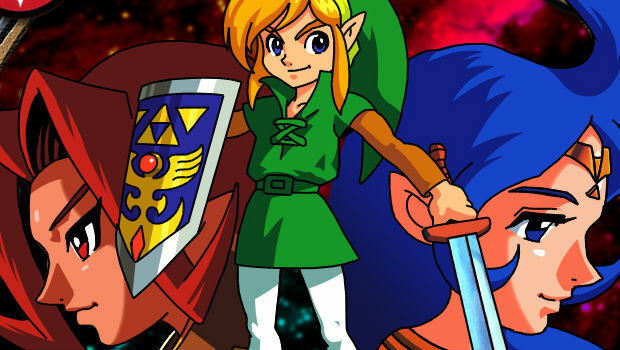 Link's Awakening is another underrated Zelda game (although it wasn't at the time). How Nintendo took LTTP's winning formula, and condensed it into a Gameboy game, I'll never know (it was witchcraft). Awakening is probably one of my top "go-to" Zelda games because it's so simple to get into, and once you get the Roc's feather, it's a ton of fun just jumping around like an idiot. Some time later, Nintendo released DX for the Gameboy Color (and eventually 3DS), which was basically the definitive version that added colors, and a new color-based dungeon. I played that version for this quest, and it was nice to rediscover the magic all over again. There's not much I can say about Ocarina of Time that hasn't been said a thousand times - it completely revolutionized 3D gaming, which was an unparalleled feat at the time. Hyrule Field is one of the best overworlds yet, the soundtrack is easily my favorite, and like some of the best Zelda games, the gameplay is simple and enjoyable. 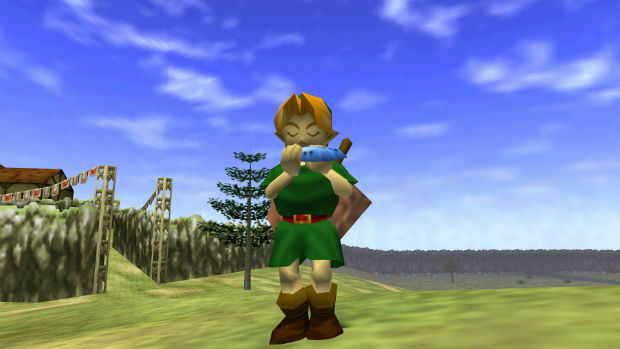 Many people knock on Ocarina for being dated - I implore those folks to check out the 3Ds remake, as it smooths out some of those nasty 64 graphical limitations, and offers a better overall gameplay experience. Make no mistake - Ocarina of Time still holds up. This is another fan favorite, but unlike all of the above other games, this is the first Zelda game I just couldn't get into at release. I made it about halfway through after picking it up on the Nintendo 64, and just gave up on it. Personally, I thought the innovative platforming elements were neat (brought about by putting on different "masks" that would transform you into a creature capable of swimming, for instance), but there were way too many sidequests that made it too easy to slip into boredom, since it was difficult to know what was required, and what was not. I'm currently playing through the game now, and all it makes me want to do is play Ocarina of Time over again. Thankfully, Majora's Mask is still a really fun, really solid game in it's own right. 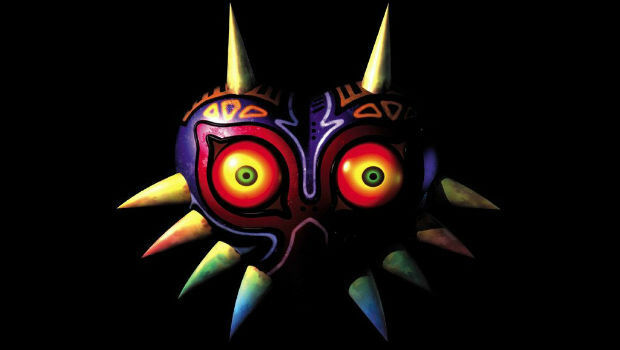 Extended Thoughts: So I beat Majora's Mask for the first time in 2011. Honestly, the only part I truly enjoyed was the final epic boss battle. I didn't really enjoy the dungeons for multiple reasons (I didn't think any of them had a solid identifiable theme, and the boss fights were pretty drab - also, what's up with re-using the Wizrobe mini-boss fight like six times? 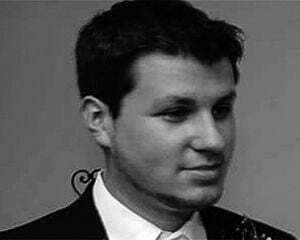 ), and I felt like a lot of the game was disjointed. Termina didn't really feel like one cohesive world so much as a bunch of different planets. Some people say that's good -- but to me, it didn't feel as magical. I could go on and on about Majora's Mask, but I think I'll leave it at this: although I had issues with it, this game has character in spades, and I wouldn't even put it close to the bottom of the Zelda pile. These two games are another entry I didn't get into as much at release, even if I really, really enjoyed them (I had way too much to play at the time on the PS1 and PS2). I'm looking forward to getting back on this horse and beating both games via the "game-link" system on my 2011 Zelda quest. These are probably the only Zelda games in the entire series I literally have nothing to say about - I played them, I barely remember them, and they're on my list. Extended Thoughts:While these two aren't my favorite Zelda games in the series, they are incredibly solid. The "Oracle" games are a good mix of the newschool, post Ocarina of Time Zelda, and the old school Zelda 1 mindset. The game link system seemed pretty gimmicky at the time, but years later, it's actually a pretty fun way to experience both titles. As for which one is better, I'd probably say "Seasons" - the time mechanic in "Ages" has been done in just about every Zelda game, so it was fun to see something refreshing. I loved Four Swords at release, but the weird nature of the game made it hard to play it - this was a multiplayer only affair. Fortunately, back in the day, I had the opportunity to play this with a group of Zelda-nuts, but fast forward to 2011, and my ability to play this game is seriously hindered. Thankfully, Nintendo is planning on releasing Four Swords for the 3DS and DSi platforms in September - I may beat them to the punch, however, by playing it with a friend by way of a Gameboy Advance link cable. 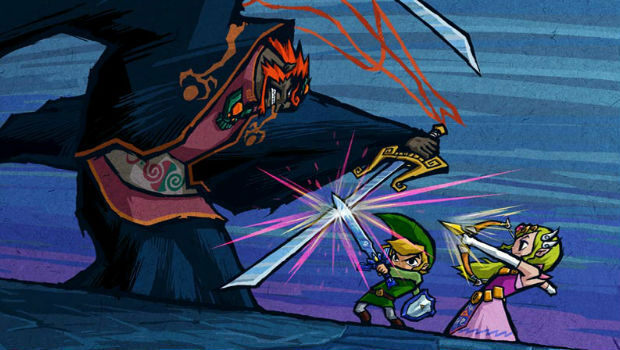 Extended Thoughts: Four Swords is a must play Zelda game. For one, the levels/dungeons are randomized, making it a Zelda junkie's dream. Second, the interface and mechanics are so clean, that it's incredibly hard to get bored playing it. Add in the fact that there are multiple unlocks for A Link to the Past, including a brand new dungeon, and you have yourself a winning Zelda title. Four Swords might seem bite sized, but it's easily in my top five Zelda list. In order to play it, I bought two copies of A Link to the Past GBA, and an official Nintendo GBA Link Cable (a universal one will not work): however, Nintendo is releasing it in September 2011 on DSiware, for the DSi and 3DS handhelds. 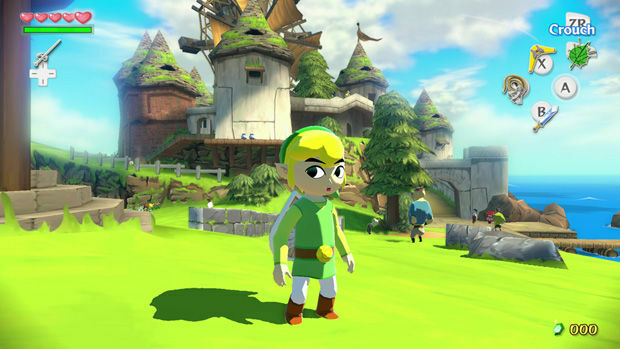 Wind Waker is another classic entry in the Zelda series. When Zelda needed a good shakeup from the Ocarina engine, and the same old top-down portable style, here comes Wind Waker with a complete stylistic overhaul. Although I wasn't a huge fan of Wind Waker at release, as time went on, I grew to appreciate the game more and more, and now it's near the top of my list. I barely remember beating this one (my friend beat it, mostly), so I'm looking forward to my full completion run this year. Extended Thoughts: Other than the lengthy tri-force shard collection-thon towards the end of the game, Wind Waker is incredible. Nintendo tried a ton of new things in terms of character/enemy design, and it really paid off. Even classic enemies like Re-Deads and Stalfos look unique, yet retain that familiar quality about them, which must have been incredibly hard to design. In terms of the gameplay, the swordplay is probably the best in the series, and the rush you get from exploring the ocean depths is second to one. Beyond the childish looking veneer, Wind Waker is full of character, and one of the best Zelda games to date. 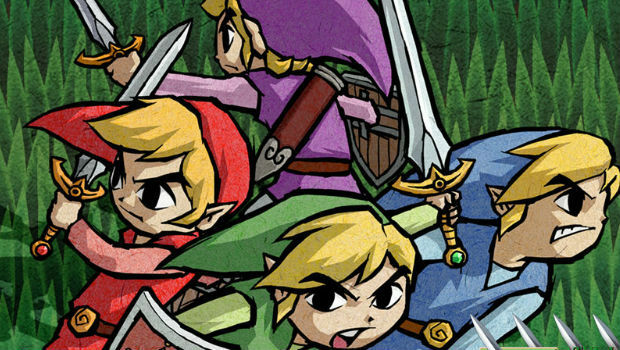 Thankfully, unlike Four Swords, this Gamecube iteration, entitled "Adventures" can be played solo - one player just controls all four Links, which allows you to change combat formations on the fly. This is another game that I barely played at release, due to the low availability of the title, and the weird method in which you played it. Oddly enough, if you wanted to play multiplayer, each gamer had to have their own GBA, and system link cable. Of course, I was intrepid enough to engage in this particular activity a few times, but I never ended up beating the game. I didn't feel too bad after finding out it was the least successful Zelda game of all time, but I just picked this up for Gamecube recently via physical copy, and I plan on beating it in 2011. Extended Thoughts: Four Swords Adventures is...interesting...to say the least. Despite being a four player game, I think this quest is best completed alone - when you start to get into the meat of the game later on, some of the levels start to get way too convoluted to coordinate with three other players - not to mention the coordination required for setting up four Game Boy Advances on a Gamecube. Additionally, the game is incredibly long for a level based, non-open world Zelda title (about fifteen or more hours) and at times, it feels a bit boring. Despite these shortcomings, the Tower Of Winds is one of my favorite dungeons of all time, and there are easily a ton of good things about Adventures - even if it overstays it's welcome a bit. If you asked most Zelda fans what the most underrated game of the series is, they would probably say Minish Cap. Sadly, Cap's release basically came and went at the end of the GBA's lifecycle, and like so many obscure Nintendo games before it, was forgotten. In fact, I never fully experienced it at release, making it one of the few Zeldas I haven't beaten yet. Honestly, I have no idea why I haven't truly sat down and experienced this gem, but let's just say I'm excited to pop this one in my GBA. 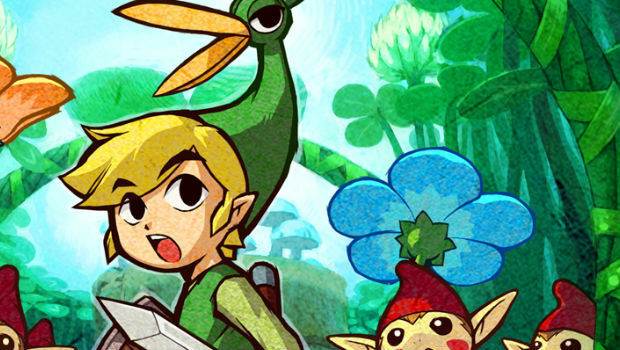 Extended Thoughts: Minish Cap is now in my top five Zelda list, for a myriad of reasons - it's just that good. While Wind Waker mixed up the Zelda formula a bit with a new aesthetic, it still played like a Zelda game. Minish Cap however, at times, felt like a completely different series - which is easily a good thing. Nintendo and Capcom did a good job mixing up the swordplay and nearly all of the items are completely new to the series. At launch, I didn't really like Twilight Princess. Oddly enough, I beat it the week of release on my friend's Wii, and even completed the secret dungeon - I was drawn to it because it promised to be the next coming of Ocarina of Time, but after completion, I just didn't feel it. Under the veneer of motion controls, which were nothing more than waving your wand back and forth every...single...time you wanted to attack, the game was drab, and not as memorable as past games. While I can pretty much recall the floor plans of each Temple after my first completion of other adventures, I am completely drawing a blank as to what Twilight Princess's dungeons even were. I'm very reluctant to beat this one in my 2011 quest, but considering it is a main series Zelda game, I think I'll do this one last. Extended Thoughts: I have a much more favorable view of Twilight Princess this time around from a gameplay standpoint after playing the GameCube version instead - the tactile control system is just that much better than the Wii's initial ham-fisted motion control scheme. Twilight Princess still has a ton of problems (drab looking locales, padded/filler areas, redundant items), but at least it has a solid number of classic moments. For instance, I forgot how amazing a few of the dungeons are: the Arbiter's Grounds is one of my favorite dungeons of all time; The Stallord boss fight is one of the best in the series (if not the best), and the shoutout to Ocarina of Time's the Forest Temple is gold. Additionally, the Temple of Time is really, really fun (and introduced the "companion cube" concept a year before Portal!). I don't think Twilight Princess is a terrible game: I just think that in some ways, it's a sub-par Zelda title. And that still makes it pretty great. I liked Phantom Hourglass due to the return to the Wind Waker style (I feel like the style is more suited for portable systems), but it took me a while to get into it. The repetition of the main dungeon kind of got to me after a while, but thankfully, I ended up beating it. Like pretty much all of the other titles, I'm looking forward to fishing this one out of the game pile and beating it in 2011. It's not one of my favorites, but it's not bad by any means. Extended Thoughts: I honestly don't have a whole lot to say about Phantom Hourglass - even though it feels fairly unique considering it is controlled entirely with the stylus, a lot of the style is heavily borrowed from Wind Waker and it feels fairly dull at times. 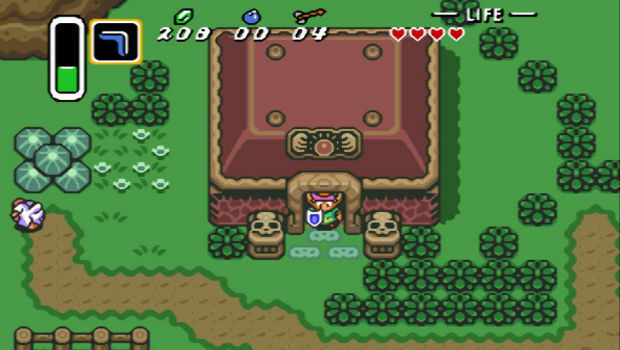 Having to re-do the main dungeon multiple times also grinds on you after a while, which leads to tons of breaks in-between play sessions; a stark contrast to pretty much every other Zelda game, which makes you yearn for more every single time you get a new item, or complete a new dungeon. Stylus support also feels completely pointless at times, and I would have loved an alternate control scheme. All in all Phantom Hourglass isn't a poor game, but I'm in no hurry to play it again compared to most of the series, mostly due to the "touch" nature of the game. Overall, I'm indifferent about Spirit Tracks - it felt like more Phantom Hourglass, and I didn't really dig the train gimmick. I think it was during the release of this title that I realized I was mainly a console Zelda fan - although there are a few portable gems in there (Minish Cap, Awakening), overall, the full-fledged console titles are my Zelda platform of choice. I personally thought the only bad part of Spirit Tracks were the train sections, but unfortunately, there are a lot of those! 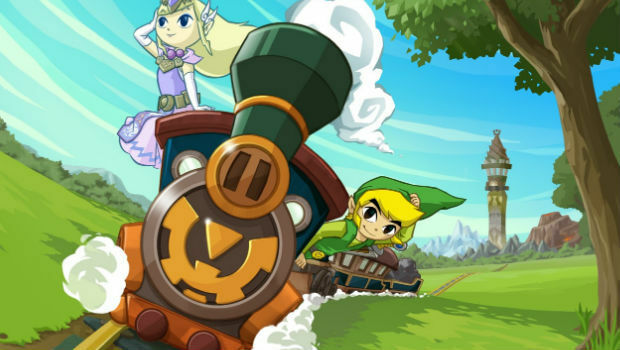 Extended Thoughts: I don't really have too much of an opinion of Spirit Tracks - like Phantom Hourglass, many sections feel like a chore (and ultimately, all of the train sections are a bore); but at the end of the day, while it may not be the best Zelda game, it is a decent portable title. Nintendo has just announced that the DSi/3DS re-release of Four Swords will contain new content, in the form of new levels, abilities/weapons, and an entirely new single player component. As a result, I am treating it as a separate release, and plan on tackling the solo adventure in an effort to complete the new levels. 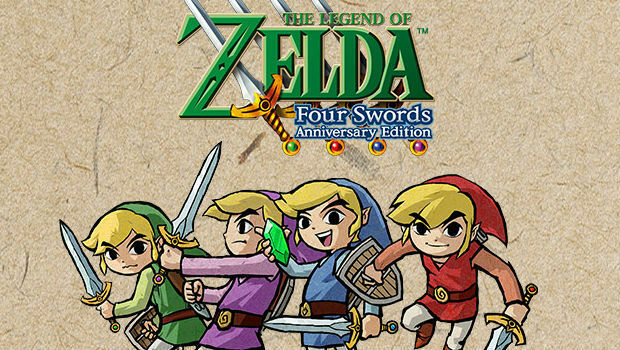 Extended Thoughts: The only bad part about Four Swords Anniversary is that it won't be around forever - you have until February 2012 to pick this one up for free - after that, it will probably be gone for a long time, until Nintendo decides to re-release it again. 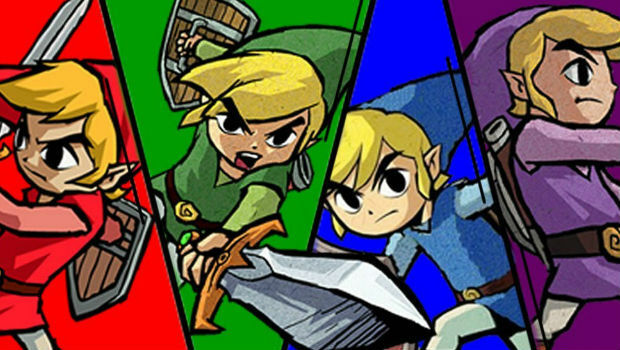 Simply put, Four Swords Anniversary is one of the best Zelda games in the entire series - it takes an already incredible game and adds a much needed single player element, as well as a ton of extra content. After playing this remade masterpiece, I'd easily place it in my top five Zelda games of all time. 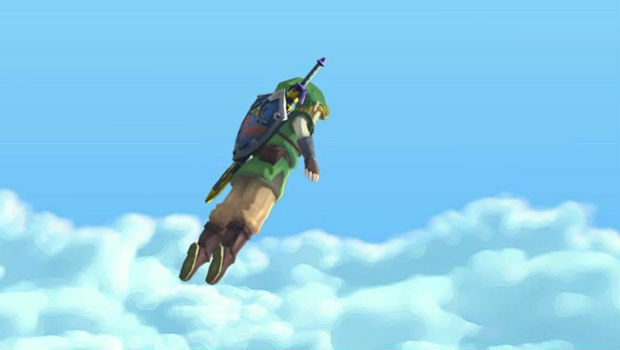 Hopefully, come Winter 2011, I'll be able to make the claim that Skyward Sword is the "Ocarina of Time" of this generation. Unlike Twilight Princess, this game looks like it has a ton of heart, which is exemplified by the extremely colorful new villain, the beautiful Sky World, and the stunning art style. Motion Control also doesn't seem like a gimmick this time around, forcing you to actually think before you strike with motion plus, as opposed to waving your wand around like an idiot in Twilight Princess. 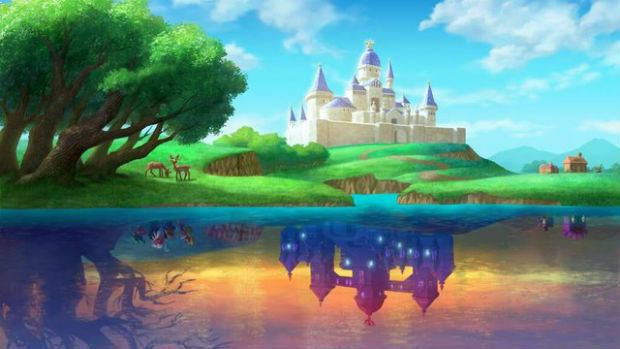 The more and more I see of Skyward Sword, the more I think it will be the best title of 2011. Considering it was the catalyst for this entire adventure, it's pretty obvious that I can't wait! Overall I thought it was an average, flawed game. In my mind I had it at least making it into my top five of Zelda list based on what I had seen, but after completion, I'm sure that it doesn't come close. While it's by no means at the bottom, there are certain issues that I couldn't really get past. Motion control wise, combat was great, but everything else I could have dealt without. My bird flight controls constantly deadzoned, as well as my free-flight/skydiving sections, and swimming. I had more than a little trouble with the bomb rolling controls, and the stabbing/thrust moves - this was with the brand new gold wii-mote, that worked great with other games. Gameplay wise, I felt like there was way too much repetition and way too many fetch quests, and re-using the exact same environments over and over again was extremely grating. But when the game worked - it worked. For the most part I loved the dungeons, and I'd be keen to play it on Hero Mode in the near future. 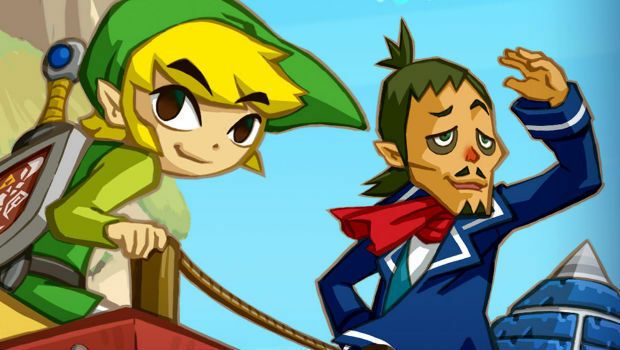 As soon as I booted up Wind Waker HD, I knew I was in for a treat. There's something about the game's locales that really jump out at me, and seeing Outset island in glorious HD was a thing of beauty. For those of you who were wondering -- yes, Wind Waker still holds up, which is a testament to the brilliant design of the original. But even though it is nearly the exact same game you know and love, it comes with a few welcome mechanical enhancements. For those of you who found slowly sailing across the world for objectives boring -- there's the Swift Sail item that makes traveling faster. If you found the Triforce collection quest to be too tedious (I happen to be one of those people), it's been shortened and streamlined. GamePad support is also something I now can't live without, as you can not only instantly re-assign items during dungeons (which you'll need to do on more than one occasion) just like Ocarina of Time 3D, but you can also consult the GamePad as a map when sailing. Unlike the Wii Zelda games where I felt like it was a regression due to the unnecessary waggle, Wind Waker HD actually manages to transcend the original due to the core mechanics of the Wii U. And you know the best part? The GamePad functionality is completely optional, and you can just cruise along with a Pro Controller without having to bother with the pad at all. This is a huge deal for me given the fact that so many recent Zelda games have had forced control schemes without options. If you haven't played Wind Waker, I'd definitely recommend picking it up on Wii U, as it's one of the greatest action-adventure games of all time. It manages to capture that feeling of pure adventure that the Zelda series is known for, while maintaining relevance in an HD era with its gorgeous, timeless art style. A Link Between Worlds is a bit of a mixed bag. On one hand, it has a lot of [positive] streamlining that really puts the emphasis on adventuring, and having fun. On the other, it's a very dry, unimaginative quest that doesn't really have a compelling world or cast of characters. Throughout most of the game, I felt like I was just going through the motions. The magic really wasn't there, even if it was technically sound, and played great. I have to give a special shoutout to the ice dungeon, as it presented a perspective never before seen in the Zelda series, period. Set to the tune of a giant skyscraper-like layout, you're constantly falling down and making pinpoint drops, almost like it was a platformer without a jump button. The 3D effect only makes this dungeon (and the entire game, really) sing even more. But the rest of the game really didn't live up to that high standard. 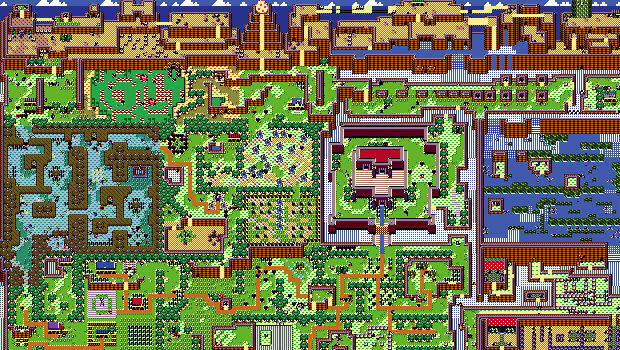 If you're really itching for a Zelda game though, A Link Between Worlds isn't bad by any means. It should deliver the basic experience to fans, and if you've never played a Zelda before, this is a great start due to the fact that it's so straightforward and easy to play. Although I hope a lot of the concepts are used in future iterations, I similarly hope a bit more heart and personality is injected as well. Thanks for stopping by, and joining me on my quest to rescue Zelda approximately fifteen sixteen times. So what's your favorite Zelda? What's your least favorite? 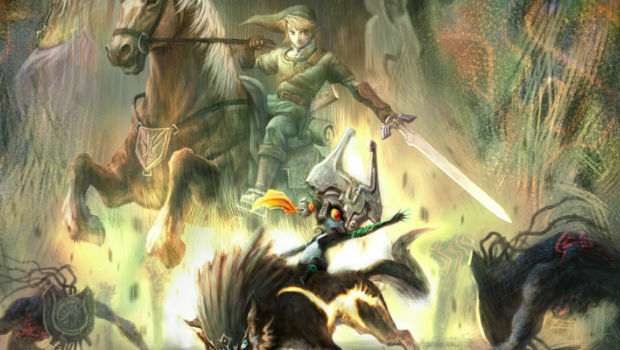 Is Majora's Mask better than Ocarina of Time? Feel free to leave a comment below!